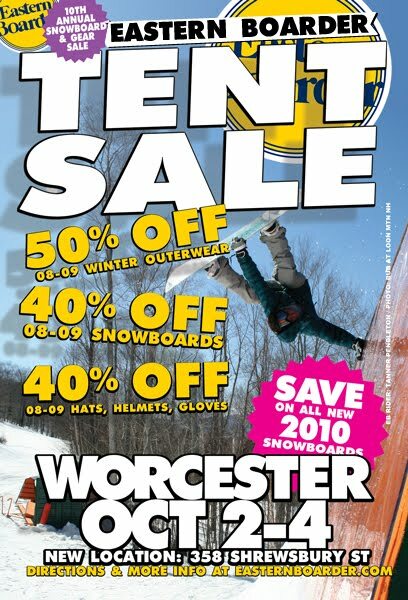 All last years snowboards,boots and bindings 40% off. All last years mens, womens, and kids outerwear is 50% off. There will be specials on 2010 gear also, but you will have to come in to see.